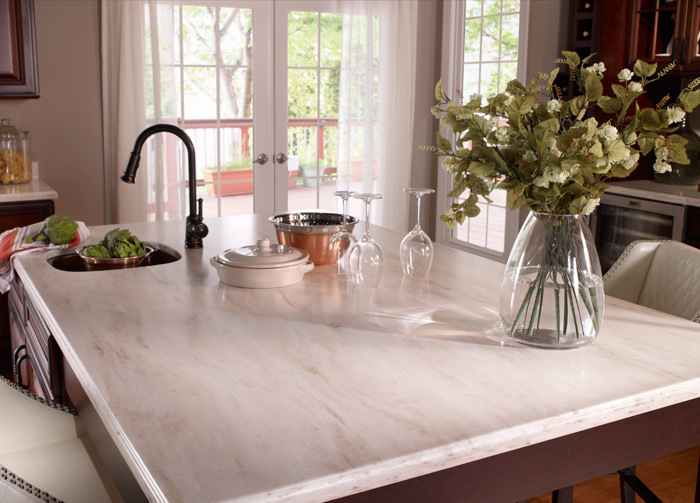 Solid Surface Materials have been the material of choice for nation's leading designers and architects for over 50 years. Available is more than a 130 colors as well as a wide range of patterns solid surface countertops are at home in every room of your house. 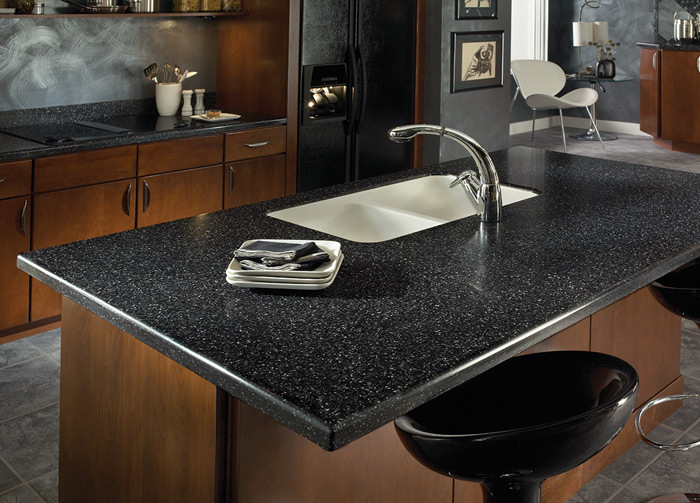 Solid Surface countertops are non-porous and never have to be sealed. They are highly resistant to bacteria, mold and mildew and are NSF and FDA approved for commercial food preparation. 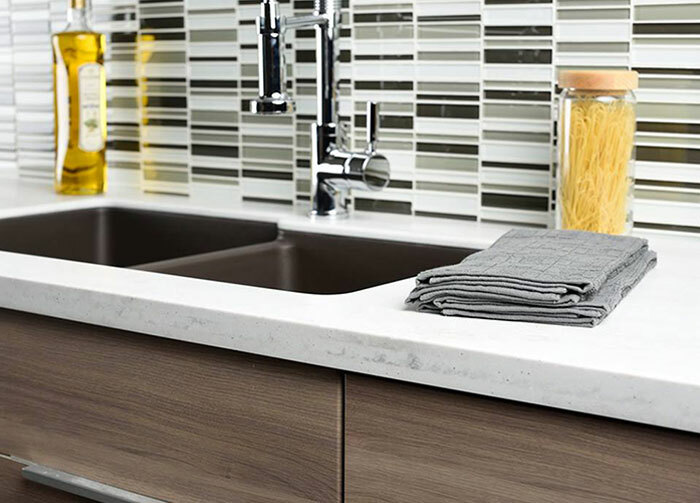 Counter and vanity tops fabricated from Solid Surface Materials are a popular choice for active households because they are easy to clean and maintain. This material can be precisely cut, shaped and even thermoformed into nearly any design imaginable. Manufactured in a broad palette of colors and patterns Solid Surface Material provides virtually unlimited design options. Created by DuPont, Corian® is a 100% acrylic product, available in over 130 colors, Corian® is the perfect medium for unique and beautiful designs. HI-MACS® Solid Surface will amaze your with its functionality and durability. From kitchen to bath the unique properties of HI-MACS® Solid Surface material gives you the ability to create looks that are as unique as your imagination. Extensive research show that 75% of the sales of the best-selling brand are from about 25 colors, even though some brands offer more than 100 colors. We developed a logical, refined color palette, limited to simply the best-selling colors: the LivingStone® SmartPalette™.